If you are a New Crypto Investor, considering your first steps in the World of Blockchain investing and the questions that arises with them. 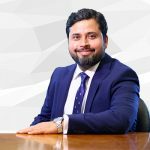 Mohsin Jameel, the Crypto master himself, gives you essential tips to ace your cryptocurrency investing game. Move from a beginner to an expert with these handy tips. If you’re reading this, then you probably know you’ve reached the right destination. Read more to come closer to your dream now.